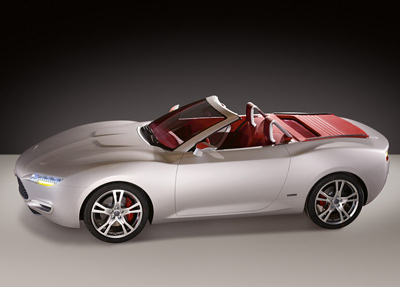 The LiGHT concept from German sunroof and convertible top manufacturer Webasto is a two-seat cabriolet designed by IED (Istituto Europeo di Design) in Italy. 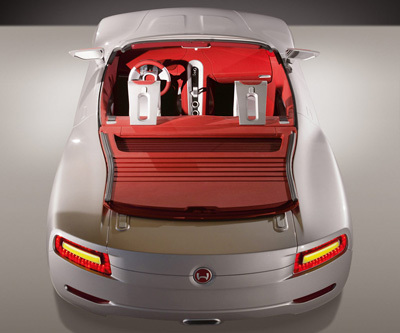 The exterior design of the Webasto LiGHT was inspired by the Fiat 124 Spider. This influence is most apparent in the rear 3/4 view, as well as the front grille. 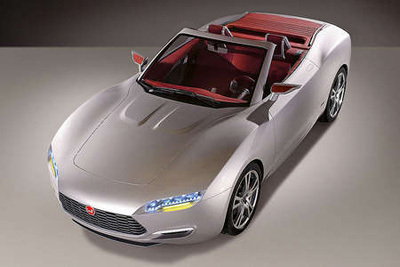 Overall however the design, while attractive, is similar to most two-seat convertible sports cars. But the real reason for creating the concept was to showcase Webasto's frameless polyurethane soft-top which is both strong and lightweight. The top also incorporates a heated glass rear window. When down, the top sits flush with the rear arches and boot lid meaning the cargo space is not compromised.